What Are The Signs Your Car Needs Cooling System Repair? A car requires a cooling liquid to prevent it from the getting overheated. The cooling system inside the car plays a vital role in its performance, that cooling system optimizes the engine temperature to make sure that everything is nice and cool. It also signifies that gaskets or other related parts do not fall apart. However, if you notice any of the four signs of cooling system issues then it is the high time to contact a car repair expert. In Christine park, you will find many car mechanics who are well versed in repairing cooling systems issues of a car. 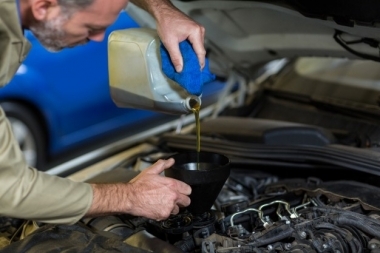 If you are under the hood and see droplets of discolouration, either in one area or in multiple areas of the engine, then antifreeze or coolant may be the culprit. If a coolant or antifreeze is sprayed onto hot engine parts, then also the engine can get discoloured. Liquid starts boiling off, removes paint in the process, and gradually it turns it to rust. One of the obvious sign that your engine needs cooling system repair is when you see smoke or white steam coming from under the hood. It signifies that a high amount of coolant is evaporating from the engine compartment, and that can put you at greater risk of overheating and causing significant damage to your car engine. Do not forget to watch your dashboard, there you will find full of gadgets that will inform you about a variety of issues. Now if you notice that the temperature gauge is drifting towards the red zone, then consider seeking help from the mechanics to know why faults may lie on the faulty thermostat! In your driveway, if you come across a puddle of green, slimy liquid, then you have just discovered a coolant leak. If your car does not have this liquid then you will not be able to keep your car cool. In that case, bring the car to the mechanic, he will identify the possible leakage in your car and will fix the problem accordingly. If you suspect any issues in your car’s cooling system then do not overlook such issues, otherwise you will have to replace the engine as a whole and that cost you heavy. So, bring the vehicle to your car repair expert in time and get your engine fixed. In Chirnside Park, you will find several car repair expert who offers various kinds of car repair service, select the service of the one which you feel convenient.